Is a Dusky Conure, Really friendly. 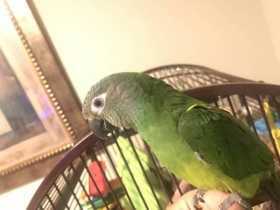 I lost her/him in Pembroke Pines, FL. Born in 2017 and she/him has a tag in the leg.